Malaria is a serious and debilitating disease. Transmitted by mosquitoes, it kills over a million people each year. Pregnant women are especially vulnerable to infection and death from malaria leaving families motherless and in many instances, children orphaned. Millions more victims are sickened or disabled. 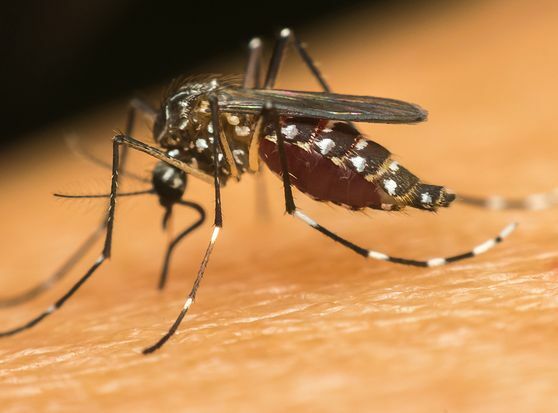 Many of those at risk from this disease are too impoverished to buy antimalarial tablets and, increasingly, the parasites responsible for malaria are developing resistance to these medications. Homeopathy was used in the past to treat and prevent malaria but largely fell into disuse with the emerging dominance of the pharmaceutical industry. Today, people are taking a second look and finding that homeopathy is still useful in the fight against malaria. It is also safe, inexpensive, and free of parasite resistance. Watch the video of the Kiryandongo Camp where refugees from The Congo, Sudan, Kenya, and Uganda tell of their recovery from malaria with homeopathy. More than 2,000 cases (and still counting) have been successfully treated. Here is a link to the report: Malaria Program at Kiryandongo Refugee Settlement. Read reports and studies of treatment and prophylactic effects of homeopathy for malaria. 2. The Effect of a Homeopathic Neem Preparation for the Prophylaxis of Malaria: An Exploratory Trial in an At-home Setting in Tanzania. Homeopathic neem preparation was indicated in this trial to be effective for the reduction of malaria attacks in a highly endemic area for plasmodium falciparum. 3. Malaria and Homoepathic Remedies in Ghana (An Open Study and a Double-Blind Randomized Clinical Trial). Homeopathic remedies were shown to be as effective as the conventional medicine, chloroquine, in this study.